A super soft 100% ring spun cotton HOT PINK baby rib lap shoulder bodysuit by Rabbit Skins! 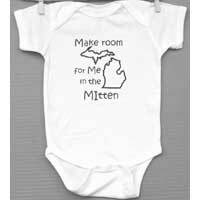 Welcome the baby girl or boy to Michigan with this cute design! 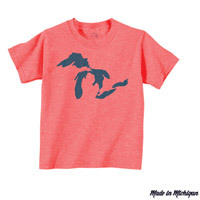 This Kid’s Great Lakes Waves Tshirt is available in Heather Red or Heather Gray. This Take Me to the Lake Onesie is available in Navy, Hot Pink, or White. 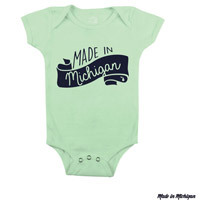 Proud to be made in Michigan! Even the littlest ones can show their state spirit! 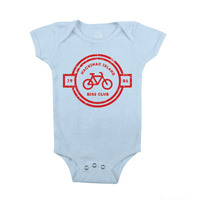 With motor vehicles being outlawed on the island, even little ones can join the bike club! 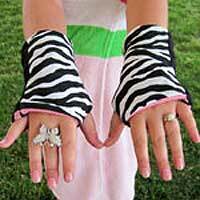 Sport your wild side with this fashionable animal print combination of black and white zebra and bright pink zebra. 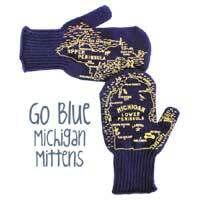 Youth Michigan Mittens are available in Tart Cherry Red, Go Blue, Go Green, Isle Royale, Rustic Red, Great Blue Heron colors. Your custom print design can be done with any color combination, producing the highest quality logo and text on premium polyester material. 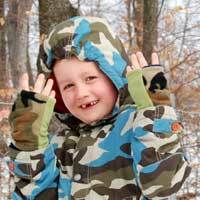 These camo seasons reversible fingerless gloves are fashionable and functional! 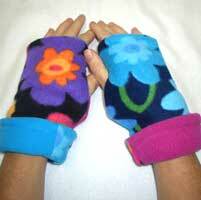 These Garden Variety Reversible Fingerless Gloves are fashionable and FUNctional! Colorful thoughts of flower gardens that will last until Spring. 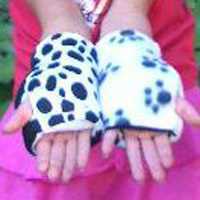 These Puppy Paw/Dalmatian Reversible Fingerless Gloves are fashionable and FUNctional! 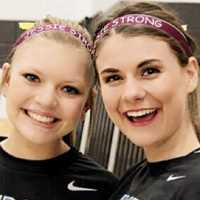 These no-slip headbands are perfect for the active person or if you just want to look great. 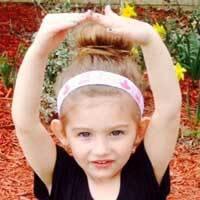 The no-slip headbands are designed for dancers, runners, athletes and every day fashion.